Nichols: "California will take the necessary actions to protect our people and follow the law. It is not too late to choose a better way." WASHINGTON -- California's top air regulator urged the Trump administration on Sunday to abandon a plan to freeze fuel efficiency standards through 2026, as automakers urged state and federal regulators to reach agreement to extend nationwide rules. 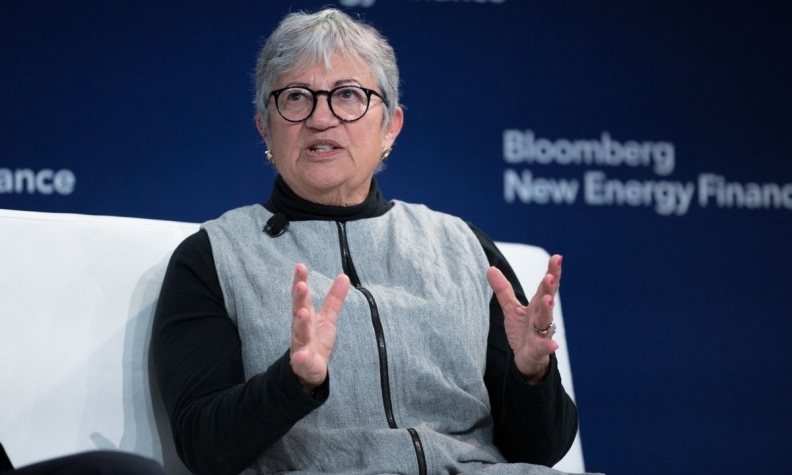 Mary Nichols, who chairs the California Air Resources Board, asked the National Highway Traffic Safety Administration and EPA to reverse course, saying the plan to freeze requirements at 2020 levels "turns its back on decades of progress in cleaning up cars and trucks." The Trump administration also wants to revoke California's authority to set its own strict tailpipe emissions rules and mandate the sale of electric vehicles. California is moving ahead with setting its own rules, and 19 states said in August they would challenge the rollback in court. "California will take the necessary actions to protect our people and follow the law. It is not too late to choose a better way," Nichols said in testimony made public on Sunday that she will deliver on Monday in Fresno, Calif. It is the first of three cities where U.S. regulators will hear public comments on the plan this week. Regulators on Friday rejected a request from automakers, 32 U.S. senators and states to extend the comment period by two months. The Alliance of Automobile Manufacturers, a trade group representing General Motors, Volkswagen AG, Toyota Motor Corp., Ford Motor Co. and others, again urged California and the Trump administration to reach agreement to retain nationwide emissions rules and avoid a prolonged legal battle. The group avoided comments on most specifics in the Trump proposal, but backed unspecified fuel efficiency increases and incentives for electric vehicles. The automotive group will say in testimony released on Sunday for delivery in Fresno that "automakers support continued improvements in fuel economy while balancing priorities like affordability, safety, jobs, and the environment." The Trump plan would hike U.S. oil consumption by about 500,000 barrels per day by the 2030s but reduce automakers regulatory costs by more than $300 billion. Nichols' testimony dismissed central Trump administration arguments: that the rules will save up to 12,700 motorists' lives over the coming decades because they lower the price of new vehicles, prod people into buying safer newer vehicles faster and result in motorists driving less because gas-guzzling vehicles will cost more to operate. "These claims are not only absurd on their face; they are not supportable by fact," Nichols wrote. An EPA memo released in August said some officials believed the plan would actually increase traffic deaths from 2036 through 2045 because of increasing vehicle travel.